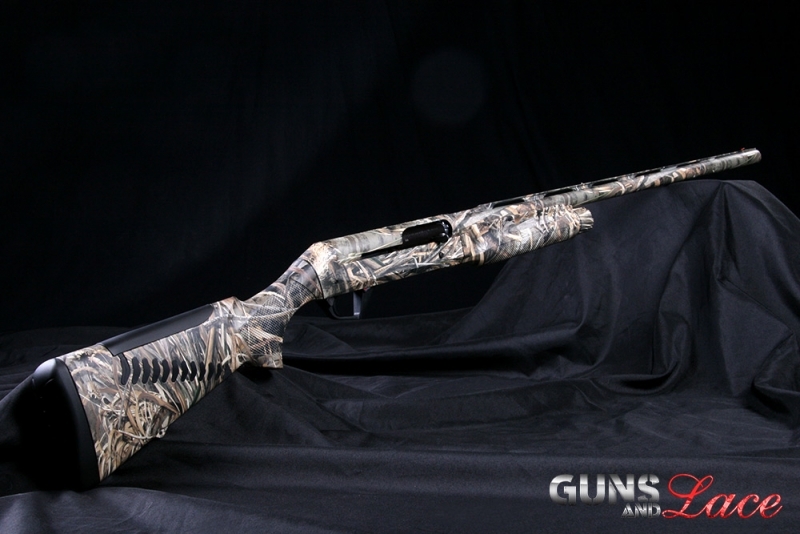 The Benelli Super Black Eagle II with its inertia driven action, soft recoil pad and beautiful Realtree Max-5 camo hydro dip is the kind of shotgun that dreams are made of. It comes standard with a triple threat choke that is quite simply made to go the distance when you need it. No matter if you are looking for your next Thanksgiving dinner or out duck hunting and looking to bring down the high flyers, this twelve gauge is a hand crafted hunting machine. The fit and finish of the Benelli are exceptional, with a HiViz front sight, cryo treated barrel for tighter patterns and less cleaning between hunts. The real test of any firearm is in the firing and the Benelli doesn't disappoint, it is hard to describe how smooth the action is, how quiet and stealthy the safety selector is and how sweet the 3.5lb trigger pull feels. 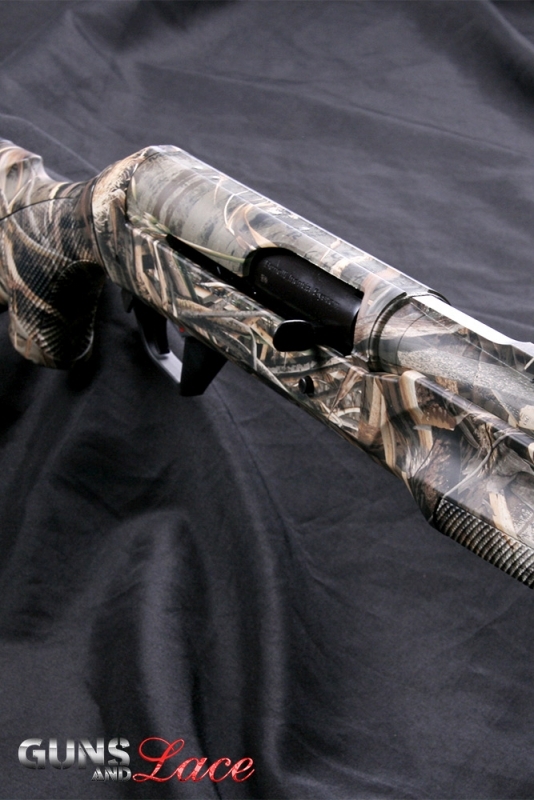 Sure, anyone can get from here to there with Daddy's old shotgun, but for those who can afford to do it right, the Benelli SBE is one absolutely, gorgeous hunting shotgun. Now don't get me wrong, we are not talking about a safe queen to park next to Aunt Jessie's gold broach, we are talking about a rugged, functional, work of art, designed to help you get your limit. See, dreams really do come true. Favorite Quote: "Dream Big, Dare to Fail!" It is an early morning, the fog is still lying low on the fields of corn stubble and the mud is thick from last nights rain. This month's beautiful featured Guns and Lace girl, Blakely, and her guide from Fowl Intentionz and the Lord Hill Duck Club are unloading gear from the back of the quad and squishing their way through the muck on a chilly Washington State Sunday morning. The duck blind is just ahead. Blakely's smile tells you it is the start of a perfect day. The decoys are out on the water and the dog is restless with anticipation. The ducks are beginning to fly. Let the hunt begin! Snohomish Washington student, retail sales girl and firearms enthusiast, Blakely spends as much time out duck hunting as she can during duck season. "I just love everything about it, being outdoors in the early morning, the anticipation, the dogs, the excitement and even driving the quad!" Blakely can't only bag her limit of ducks but we found out back at the lodge that she's some pretty amazing recipes for duck jerky and sausage too! Hell yes! 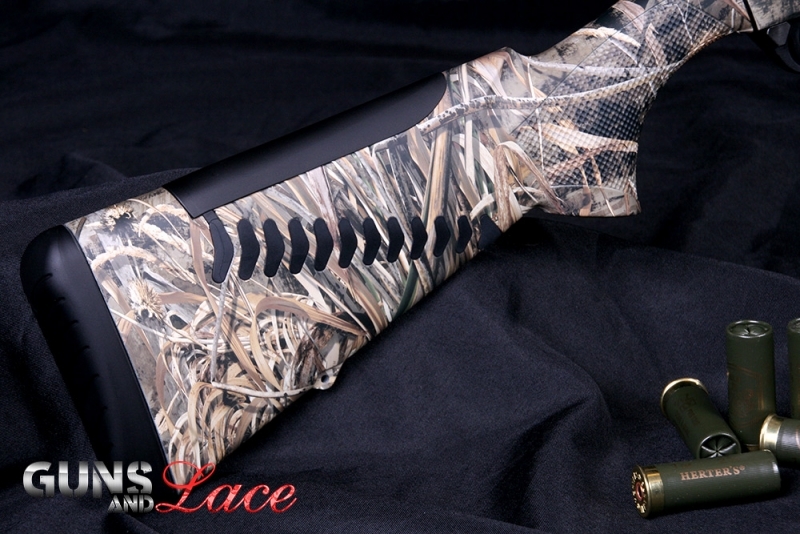 All a man needs is a beautiful Benelli, a beautiful woman to hunt with and his huntin dog!